What a pleasure to join State Rep. Rosemary Brown to honor East Stroudsburg High School South senior Gregg Eck for his outstanding performance both inside and outside the classroom. Gregg recently surpassed 1,000 career points in basketball. Outstanding job! 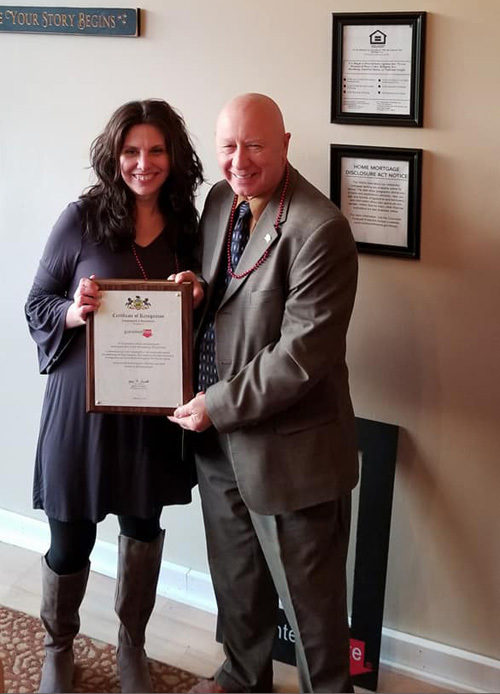 Congratulations to Sonia Wolbert on the grand opening of her new mortgage business Guaranteed Rate (182 South Courtland Street, East Stroudsburg). You are truly the home purchase expert. We wish you much success and growth in the years ahead. 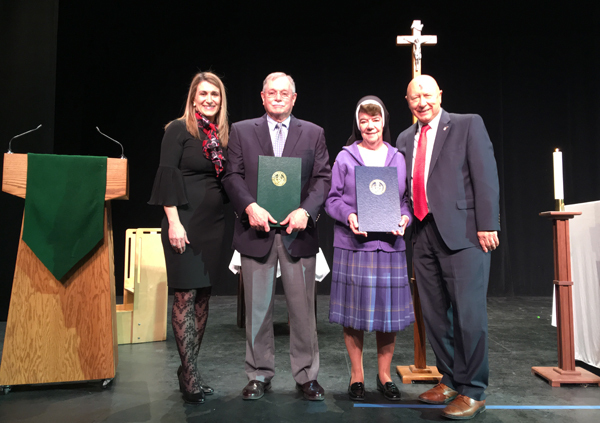 This week I recognized Notre Dame High School (East Stroudsburg, Pennsylvania) for the school’s 50th Anniversary. PA State Rep. Rosemary Brown provided recognition from the PA House of Representatives. Thank you Monsignor and Sisters for your continued dedication and commitment to our students. 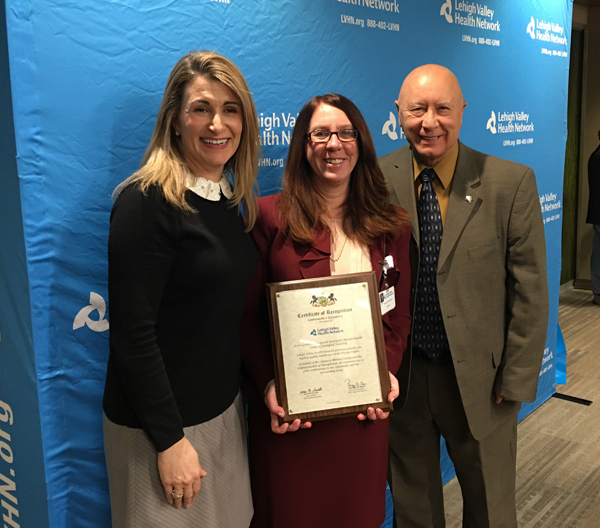 I recently joined State Rep. Rosemary Brown to recognize Lehigh Valley Hospital – Pocono for the grand opening of their new Health Center at East Stroudsburg (179 Independence Road). The opening of this new facility continues the trend toward more accessible outpatient, community-based services for our area residents. The American Legion will be holding a Veterans Assistance Day on Wednesday, February 21 at my Pen Argyl district office. This service is offered on the third Wednesday of each month. The district office is located at 2 N. Robinson Avenue, Pen Argyl, PA 18072. Veterans do not need to be a member of the American Legion to receive these services. Please contact the Pen Argyl office to schedule an appointment at 610-863-1200. 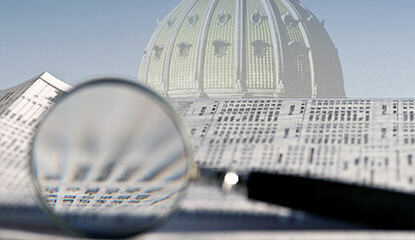 A newly enacted state law helps shine light on lobbying activity in Harrisburg. Investment advisers are on the front lines of the opioid epidemic due to both the tremendous costs associated with addiction and treatment and their unique position to observe warning behaviors associated with financial exploitation. The PA Department of Banking and Securities and the PA Department of Health provide a resource guide to assist financial professionals coping with the impact of the opioid epidemic. The guide suggests several steps investment advisers can take to help their clients as well as their own firms. Veterinarians who practice for three years in under-served Pennsylvania communities could receive educational loan forgiveness under the federal Veterinary Medicine Loan Repayment Program. The average education debt for veterinary school graduates in 2016 was $143,757. There are six areas with shortages of veterinarians identified in Pennsylvania. You can find applications, information and a map of under-served areas here.